If you drive through Las Vegas and its surrounding city’s, you’re bound to come across a slew of gas stations with a rather peculiar name. Silver Sevens started off as a family-owned oil company under the name of Herbst Oil Company. 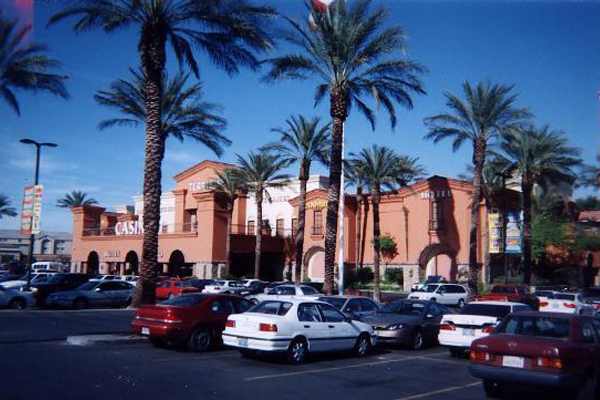 In 1987, twenty-eight years after the formation of the oil company, the grandchildren of the company’s founder formed Herbst Gambling – and from there arose the Silver Sevens Hotel and Casino in 1997. 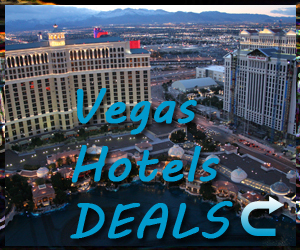 Today, Silver Sevens is a local hotspot in Las Vegas, but still offers top of the line amenities. When you step inside a Silver Sevens hotel, you’ll quickly realize that the name is no indication of the venue and service. A friendly staff will warmly welcome you as you go through the usual process of hotel check-in. In terms of looks, the exterior looks akin to a large saloon. On the inside, though, it carries a much more polished, inviting look that makes it the perfect spot to spend a week off. 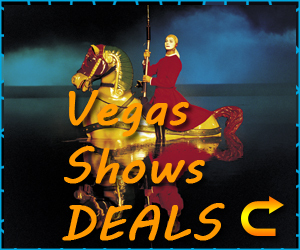 Accommodations come in the way of standard / deluxe rooms and larger suites with a higher end look at an affordable price. Standard rooms offer the basics of hotel living. A comfortable king or queen pillow top mattress dares guests to try and get out of bed in the morning. 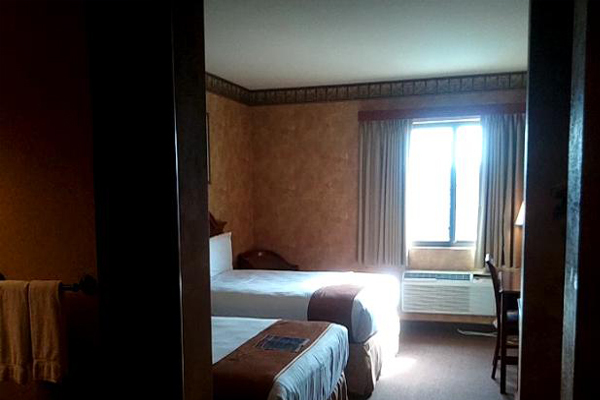 Deluxe rooms are slightly larger then the standard and offer higher end furnishings. Suites, as expected, are the highest end of what thishotel could offer. Offering more space and designed as a room for maximum comfort and luxury, the Suite at Silver Sevens is a bargain compared to what other hotels charge. 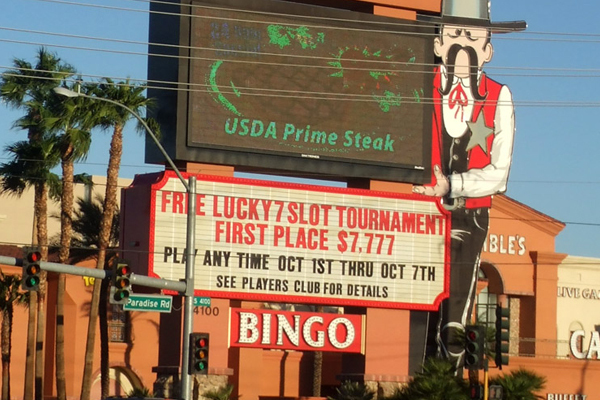 Silver Sevens may not be up to the same standards as the more expensive locations on the Strip, but it can certainly hold its own. With a full-sized resort pool located at the center of the resort for ease of access, guests will have the option for some fun in the sun when the expansive casino floor starts to wear on them. For a host of live entertainment, park yourself at the Entertainment Stage Bar where you’ll be treated to a plethora of live music to drink the night away to. 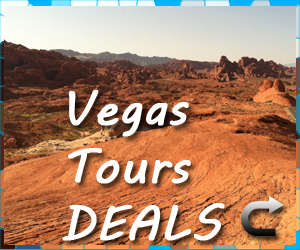 It is also located just 1 mile south of the Las Vegas Strip, which will equate to a rather inexpensive cab or bus ride. Also right down the road from this hotel is the Atomic Testing Museum. At the ATM, visitors will get a taste of what life was like during the Atomic age in the Nevada desert. Watch witness recounts of the tests and get a hands on look of how an atomic missile is assembled. Dining options come in the form of the Buffet and Bougainvillea Café. An assortment of tasty appetizers and full sized entrees guarantee that there is no such thing as an empty stomach in this hotel. You’ll also be in range of some of the city’s better restaurants, such as Tony Roma’s. 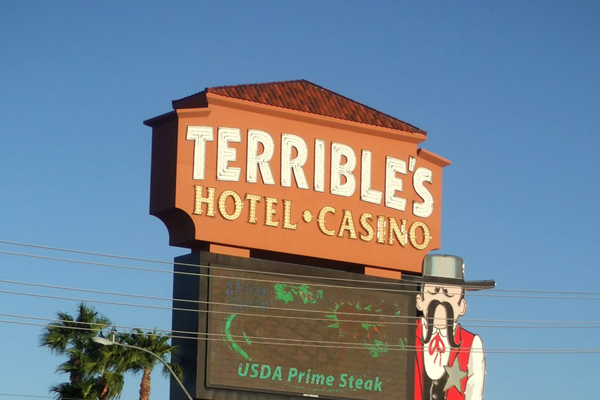 If you’re looking for the Las Vegas experience at budget hotel prices, you can turn your attention to formerly knows as Terribles Hotel and Casino.